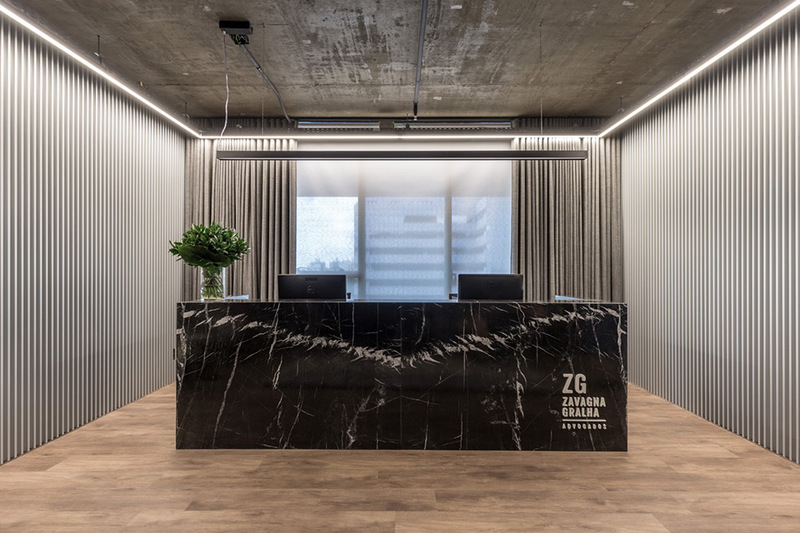 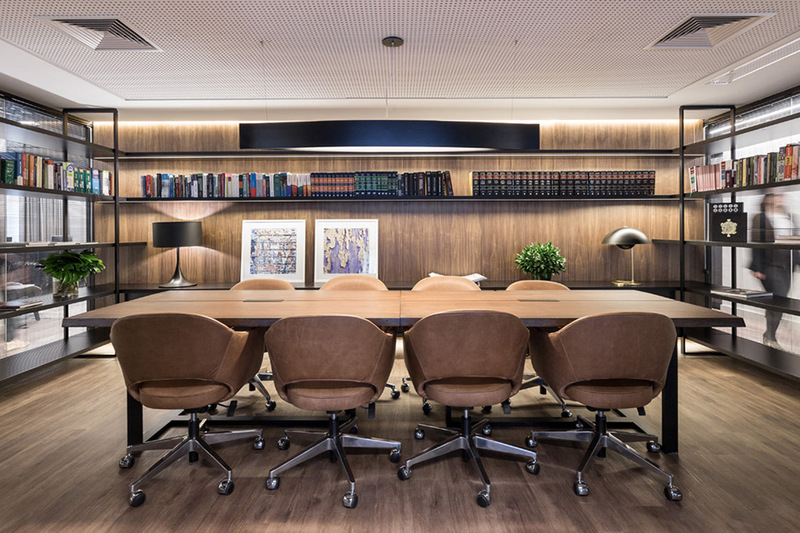 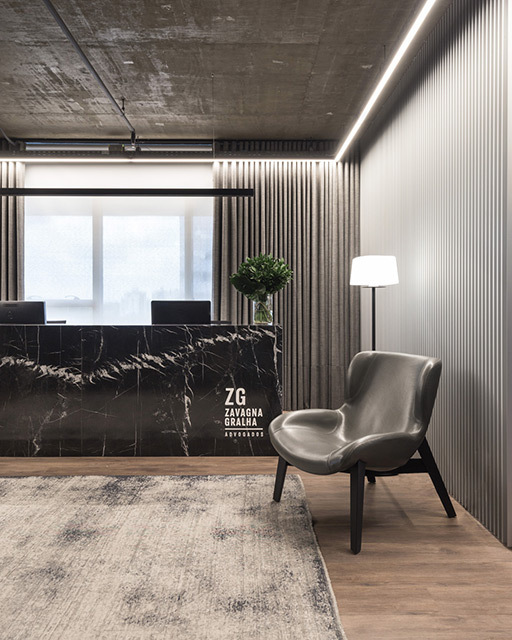 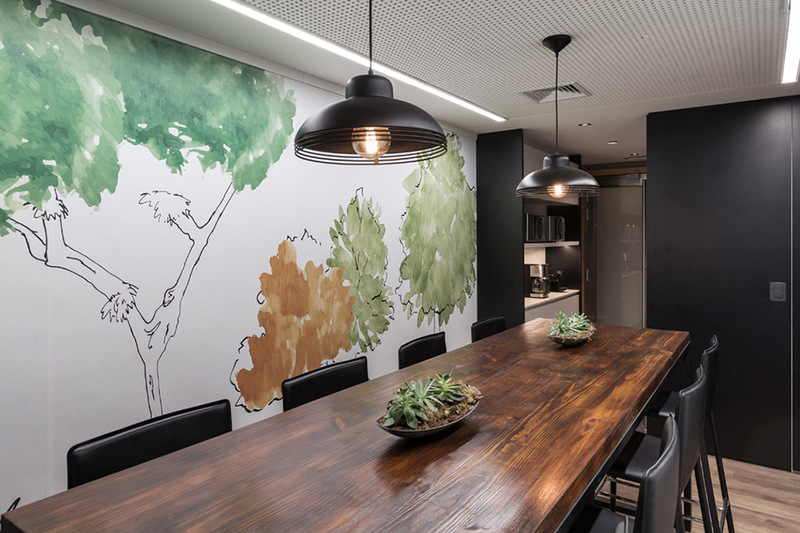 Brazilian architecture studio AMBIDESTRO has designed an office interior for Zavagna Gralha Advogados, a Porto Alegre based law firm. 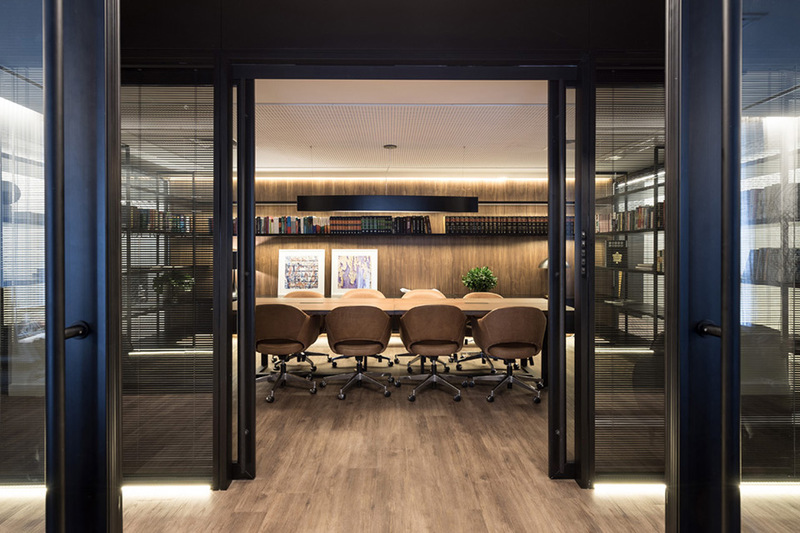 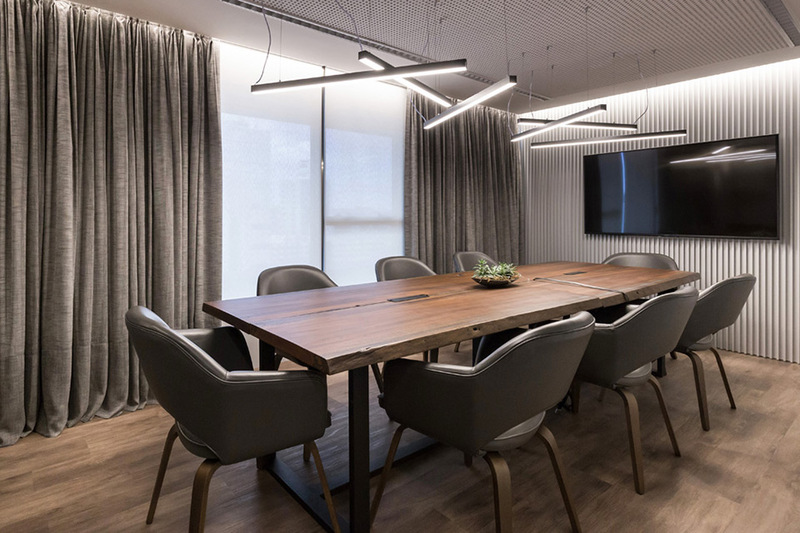 Located in one of the noblest corners of the city, the office has 520 sqm (5,597 sqft) of a unique experience of working and collaborating. 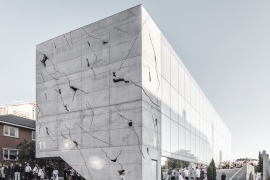 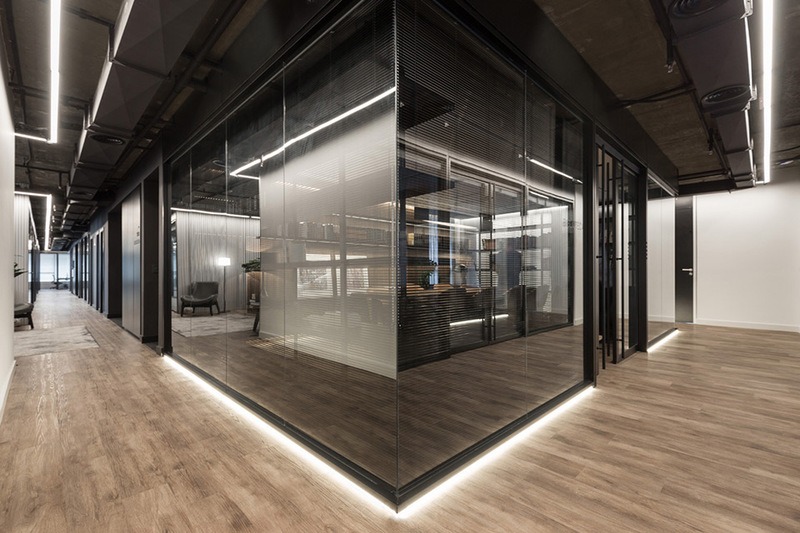 The design is based on a combination of light and dark materials. 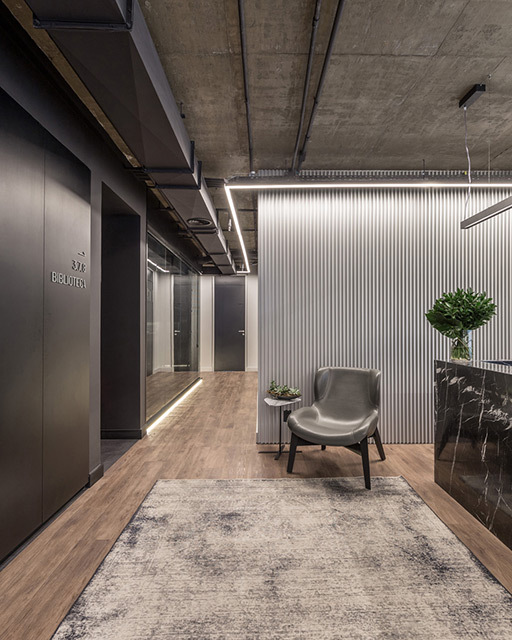 The interior features noble materials, such as American walnut wood veneer, marquino nero marble, and metallic radiator panels covering some of the main environments. 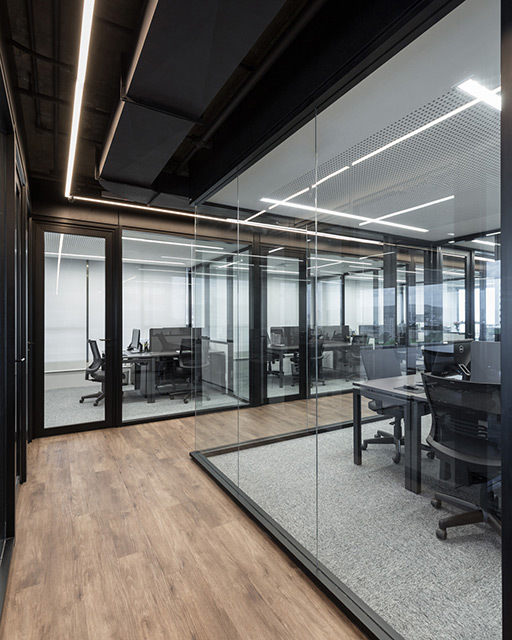 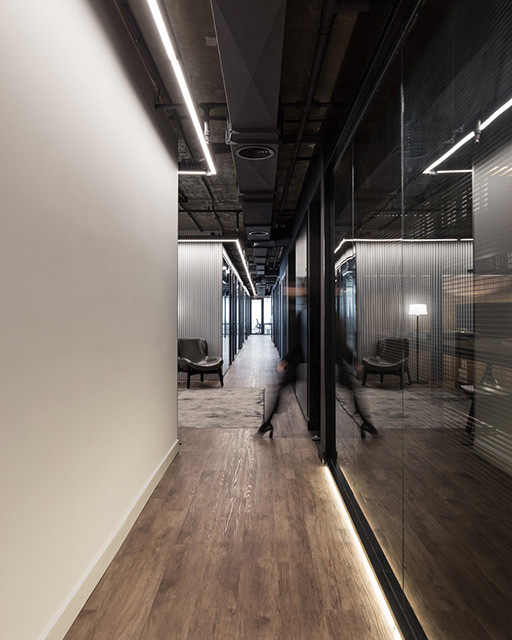 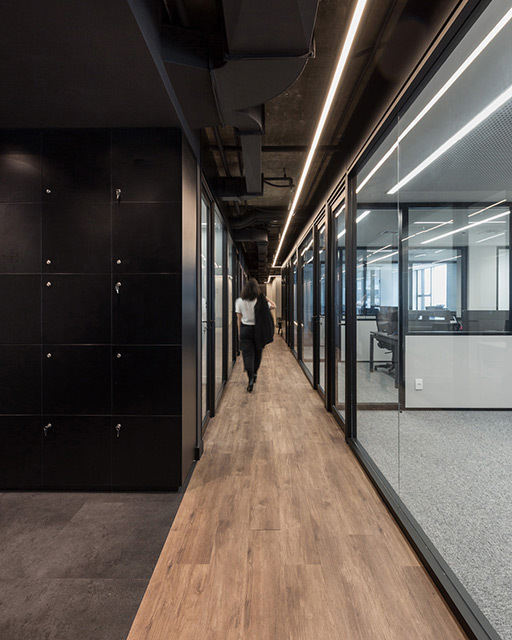 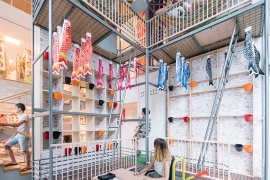 The architects also chose to leave all the structure and the office infrastructure apparent, which was enhanced by a linear lamp running through all the circulations of space.